This evening, when you’ve finished work, you’ll encounter a story. Maybe you’ll seek the story out on television, at the theater, or in a book. Or perhaps the story will find you by way of a friend’s text or a spouse’s rough day. Either way, stories are inescapable, and we like it that way. A story allows us to immerse ourselves in peripheral worlds among people, places, and things we know of, but may not have experienced. For anyone working in brand development, the power of a story is impossible to ignore, but how does one write an engaging brand story? In 2012, I was employed as a designer at a small graphics business. I churned out project after project at a startlingly fast pace. One day, I took a step back and browsed through all the work I had done. Some of it was bland; most of it was bad. I bought several books on writing and began to practice. After a few months, I had two realizations. So I experimented, and a funny thing happened: My design work got worse. See, I had no strategy for using story in branding projects, and I wasn’t including my clients in the process. I felt dumb, but I kept trying. I went back to my writing books and began working on a strategy for creating compelling brand stories. Now, after five years of trial, error, and refinement, I’m convinced that the most important part of a branding project is story development, for a few reasons. First, a well-written brand story highlights connections between a business and the people it’s trying to reach. Second, it prepares clients to promote their business with language that’s concise, authentic, and intriguing. Third, it helps clients make business decisions that are consistent with brand values, and it equips the brand designer with context and purpose for developing a visual identity. Lastly, it establishes a common language between brand designer and client, opening the door for an ongoing relationship. My approach to writing a brand story is simple. There are three parts that should always be addressed. You may add other parts, but these three are foundational. To help you better understand how to approach each part, I’ve included examples from a branding project I recently completed for a business in my community. 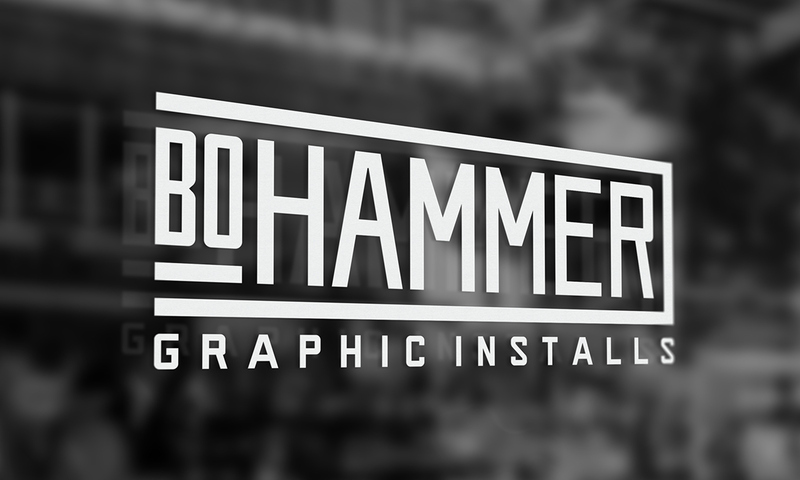 BoHammer is a vehicle wrap studio, founded by Mike Goldhammer. Goldhammer spent 10 years installing wraps all over the Pacific Northwest, but after starting a family, he decided to focus his efforts on the Portland metro area. 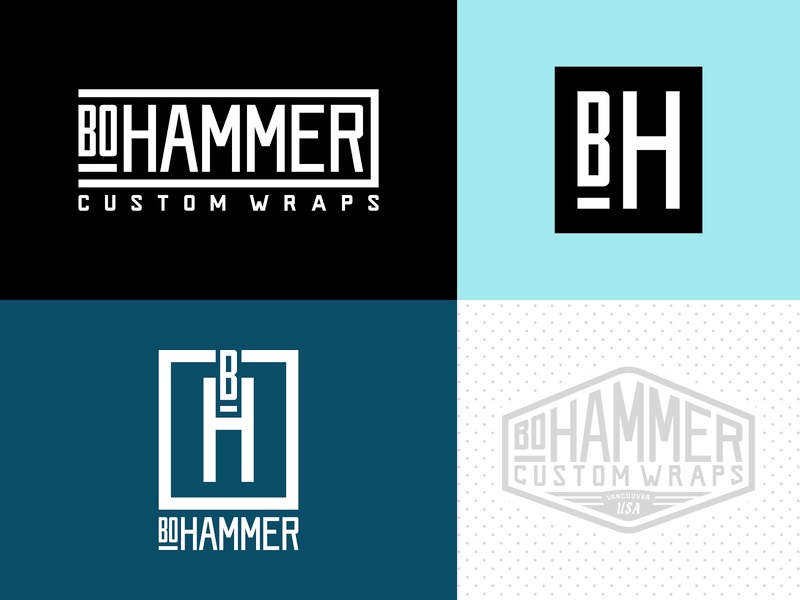 When Mike and I met to discuss his vision for the BoHammer brand, two things became abundantly clear: The man is meticulous about quality, and he loves to talk about wraps. A good story prioritizes information. This also holds true for a brand story. Regardless of the number of virtuous qualities a brand embodies, there needs to be one, out in front, leading the way for all to see. This is the brand storyline – one compelling sentence that cuts through the noise to confront the target audience and arouse one of two possible reactions. Ambiguity leads to ambivalence, the enemy of brands. The goal of branding is to reach the right people. Unclear messaging leads to confusion, and wasting time pursuing the wrong people is expensive. A successful brand storyline has three main characteristics. 1. It’s concise. People latch onto things they understand quickly. Plus, keeping the brand storyline short makes it easier to remember and retell. 2. It’s expressive. People don’t remember what you say; they remember how you make them feel. The brand storyline needs to tell people how they’ll feel when they interact with the brand. 3. It’s intriguing. It isn’t possible for a single sentence to tell people about every feature and experience a brand has to offer. Instead, the brand storyline should stir curiosity that makes people want to hear more or move on. Before writing BoHammer’s brand storyline, I asked five specific questions. From experience, I knew these questions would give me a surplus of information to work with. Use these questions with your clients, or create new ones that better fit your project, especially if you’re branding something other than a product. Most importantly, remember that the brand storyline is meant to stir feeling, not act as an informational manual. 1. What are the two most important services BoHammer offers? 2. How would you describe the single most important service that BoHammer offers? 3. How does BoHammer improve its intended customer’s life? Please list three to four independent thoughts. 4. Will you please identify three to four instances where there is a need for BoHammer’s services but no worthwhile solution exists? 5. What feelings do you intend for BoHammer’s customers to experience when they’ve had a vehicle wrapped? Please list five to six feelings. Mike answered with two, single-spaced pages of text. That’s a lot of information to condense into one compelling sentence, so I approached it in phases. First, I edited Mike’s replies for wordiness and redundancy, trimming two pages into one. Then, I created a shortlist of the most important ideas running through the text. Finally, I began the first round of drafts. This part takes patience, practice, and a willingness to ruthlessly edit your own poor writing. Here are a few guiding principles to help you write a great brand storyline. Keep it short. Aim for 25 words or less. Introduce the two most important features of the product. If absolutely necessary, introduce a third feature, but no more than three features total. Of the features introduced, only expand upon the most interesting one. Don’t shy away from over-the-top adjectives and adverbs. Go big now, knowing you can edit the hype to more appropriate levels later down the road. Don’t edit as you write. This causes writer’s block. Instead write thoughts and phrases as they come to mind. Even if your words seem cliche or off-the-mark, they’ll serve as a useful blueprint for later revisions. After several rounds of drafts and revisions, I established a brand storyline that complements Mike’s enthusiasm for quality and telling people about wraps. The brand message is a four to five sentence expansion of the brand storyline. If brand storyline was a tree, brand message would be its branches. Where brand storyline is a proclamation meant to reach a distracted audience, brand message is a richly detailed description of the experience the audience can expect to enjoy. Though the brand message is four to five times longer than the brand storyline, it requires the same commitment to concise, expressive, and intriguing language. My first step with BoHammer was to break the brand storyline into four distinct parts. We cover every inch of your car’s exterior with vinyl. It looks like a high-end paint job. Then, I condensed and re-wrote to express three key ideas. 1. BoHammer’s installers are highly skilled, and enjoy the work they do. 2. 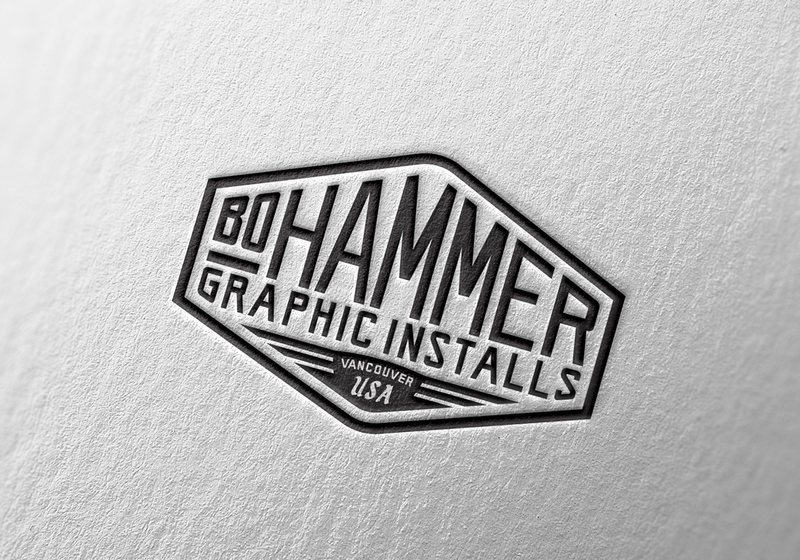 BoHammer uses quality wrap vinyl for work that lasts. 3. When BoHammer finishes a wrap, the look of the car is transformed in a positive way. These three ideas act as an outline for the brand message. To show how this worked for BoHammer, I’ve color coordinated the ideas and their corresponding sentences. With brand storyline and message complete, identifying brand themes is like watching dominoes fall into place. It’s easy and satisfying, but care must be taken to avoid disaster before the big payoff. What do I mean? Keep it simple. If brand storyline is the tree trunk, and brand message its branches, then brand themes are low hanging fruit, ripe and ready to pick. Think of them as phrases that embody mood and mission. How are they useful? 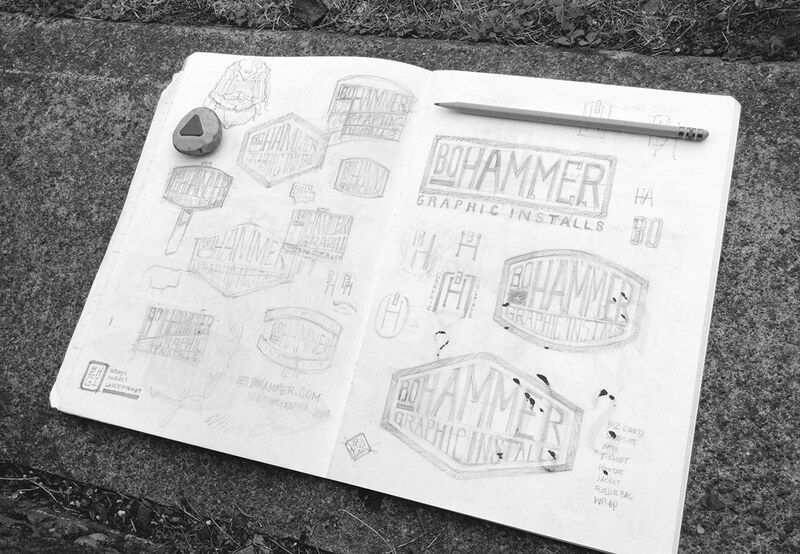 With BoHammer, the work I did in preparation for the brand message flowed seamlessly into brand themes. Take a look. These word groupings – skilled and happy, bold and classy, quality and lasting – are the brand themes. But to be effective, they needed to be polished into a customer-facing readiness. Depending on the audience you wish to reach, brand themes can be literal or metaphorical. Since Mike’s biggest selling point for BoHammer is the quality of the work, we focused on language that paints a picture of long lasting transformation. 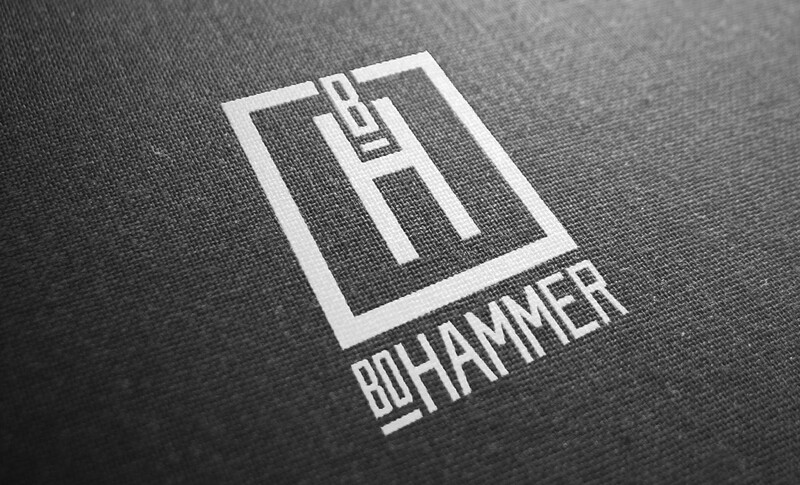 Here again, patience, practice, and self-editing are key, but notice how effortlessly BoHammer’s final brand themes mesh with the work done in the brand storyline and message. Don’t underestimate the power of a story. With the foundational elements of the brand story complete, it’s up to the brand designer to guide the project to its next logical phase. This might mean springboarding into visual identity or delving deeper into the implications of the story. For example, when Goldhammer decided to launch a new BoHammer website, I used the brand story to develop engaging copy and a set of custom, wrap-themed illustrations. My hope is that more designers experience the clarity and creative energy that a brand story brings to a project’s earliest phases. Story is a powerful branding tool, but trial and error is required to use it well. If persistent, you’ll develop a unique voice, and your work will be infused with unexpected strands of meaning and purpose that thrill clients and the people they’re trying to reach. This post originally appeared on Toptal, and is re-published with permission.